We’re about to publish our first new issue of 2016 and with it come some changes to the journal which we hope will enhance MedChemComm for our readers, authors and reviewers. We’ve updated our scope and significance guidelines to provide more detail about the type of research we publish, to help authors decide if MedChemComm is the right journal for their article. Also we now ask authors to provide a very brief statement on submission of their article which describes why their research is a significant advance in their field. This information assists our editors and referees in assessing the article’s suitability for publication in the journal. Primary research articles in MedChemComm, which were previously called ‘Concise Articles’, are now ‘Research Articles’. There’s no change in the length or style of articles; ‘Research Articles’ can accommodate any type of primary research article, including communication and full paper styles. The change in name is purely to better reflect this breadth of style. You’ll start seeing the new article name from issue 2 this year. One of the most important aspects of an article from a reader’s point of view is that it’s easy to find and read, with the key information readily available. Therefore we’ve updated guidelines on writing titles and abstracts, which gives advice on how to make these as impactful as possible. This is something we’ll now ask referees to comment on when assessing a manuscript. Also we’ll be limiting the amount of experimental detail included in the main text to two journal pages. Authors should still provide as much experimental information and data as is required for their research; however anything over the two pages should be included in the supplementary information rather than the main text. It’s important that the research published in MedChemComm has the highest levels of integrity and reproducibility; therefore we’ve updated our guidelines on experimental information and data. These give authors information on how much experimental detail should be included, what data are required and the format in which they should be presented. Feel free to send us any comments or suggestions about these changes or anything else to do with the journal. Thank you to all our authors, reviewers and readers for your continued support, and I hope you enjoy reading MedChemComm in 2016. The new year brings a host of new features in MedChemComm. The first of these is that we are now featuring articles by medicinal chemist and blogger Derek Lowe. These articles, which give opinion and insight into both the science and business sides of drug discovery, will be selected from those published in his In the Pipeline column in the Royal Society of Chemistry magazine Chemistry World, bringing this content to a new audience. Take a look at the first article in issue 1 of MedChemComm, and look out for further announcements about new features in MedChemComm through the year. MedChemComm Lectureship – nominations now open! Nominations for the MedChemComm Emerging Investigator Lectureship are now open. This annual Lectureship recognises an emerging scientist who has made a significant contribution to medicinal chemistry or a related field in the early part of their independent career. To make a nomination, please contact the MedChemComm Editorial Office with the name and affiliation of the person you are nominating. Nominees must have completed their PhD on or after the 31st December 2004. The decision to award the Lectureship will be made by a panel of MedChemComm Editorial Board members. The recipient will receive a contribution towards speaking at a conference. Previous Lectureship winners are Professor Patrick Gunning (University of Toronto, Canada) and Professor Christian Heinis (École Polytechnique Fédérale de Lausanne, Switzerland). 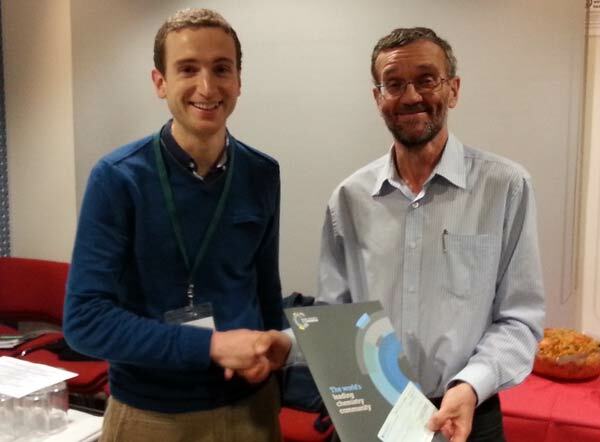 Congratulations to Duncan Hay and James Clulow, winners of the MedChemComm prizes at the 7th Biological and Medicinal Chemistry Symposium. Duncan (University of Oxford), won the prize for best oral presentation for his research on SGC-CBP30, a chemical probe for CBP/p300 bromodomains while James (Imperial College London) won the prize for best poster for his research into using quantitative activity-based chemical proteomics to explore the targets of electrophilic natural products. 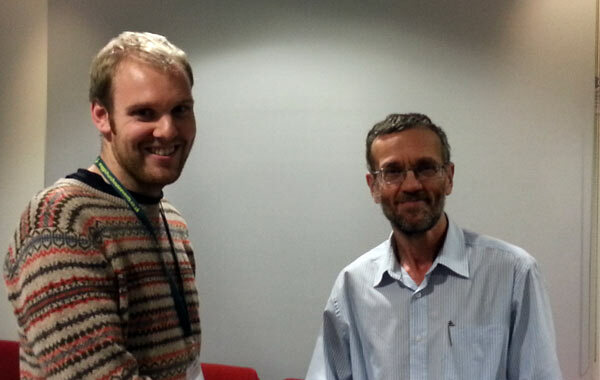 The symposium, organised by the Royal Society of Chemistry’s Biological & Medicinal Chemistry interest group, was held in Cambridge on 13th December 2013. 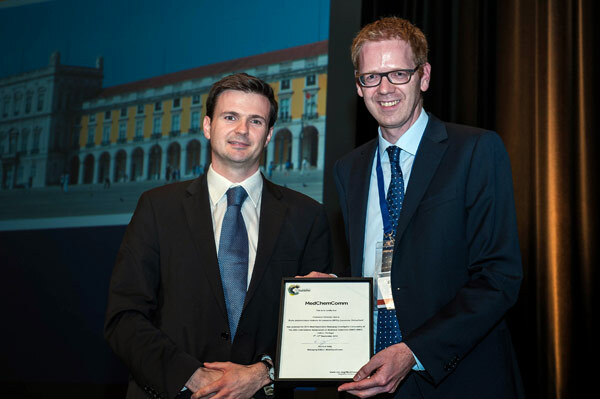 Congratulations to Professor Christian Heinis from École Polytechnique Fédérale de Lausanne, Switzerland, who is the recipient of the 2013 MedChemComm Emerging Investigator Lectureship. Professor Heinis receives the Lectureship in recognition of his research into drugs in the “middle space” between small molecules and biologicals, in particular for his work on cyclic peptide therapeutics.He will deliver the lecture at the 2014 EFMC International Symposium on Medicinal Chemistry in Lisbon, Portugal. The annual MedChemComm Emerging Investigator Lectureship is given to a researcher who has made a significant contribution to medicinal chemistry research in the early part of their career. The recipient must also have published an article in MedChemComm. Nominations are received from members of the public and the recipient is chosen by a committee formed of members of the Editorial Board. Christian Heinis studied biochemistry at the Swiss Federal Institute of Technology in Zurich (ETHZ) where he also did a PhD in the research group of Prof. Dr. Dario Neri. He was a postdoctoral fellow in the group of Prof. Dr. Kai Johnsson at the Ecole Polytechnique Fédéral de Lausanne (EPFL) and in the group of Sir Gregory Winter at the Laboratory of Molecular Biology (LMB) in Cambridge, UK. 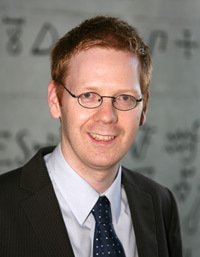 In 2008 he was appointed Assistant Professor with tenure track for Bioorganic Chemistry at EPFL and since 2009 he is holding a professorship of the Swiss National Science Foundation. The general research interest of Christian Heinis is the development of novel and innovative therapeutic strategies using chemical and biological methodologies and tools. Christian is a scientific founder of the start-up company Bicycle Therapeutics. This article describes the structure-guided optimisation of a screening hit against the pro-survival protein BCL-XL, which is often overexpressed in solid tumors and results in malignant tumor cells showing resistance to anticancer treatments. Editors’ Choice articles are articles identified as being of high potential interest to medicinal chemists, selected from the wider literature by members of the Editorial Board. Submissions are now open for a high-profile themed issue on Chemical Biology for Target Identification and Validation, due for publication in MedChemComm in early 2014. It will receive great exposure and significant promotion. New research in MedChemComm is published as Concise Articles. This article type encompasses both Communication and Full Paper styles and is generally between 3 and 7 pages in length, but there is no strict page limit. Manuscripts can be submitted in any reasonable format using our submission system. Template is not required. Please indicate that it is for the Chemical Biology themed issue in the comments to the editor field. The level of quality of this issue will be high, and all manuscripts will undergo the journal’s normal peer review process. The deadline for submissions to the themed issue is 30th September 2013, although submissions before this date are of course welcomed.